Yes, you read the title correctly – a movie about grammar. 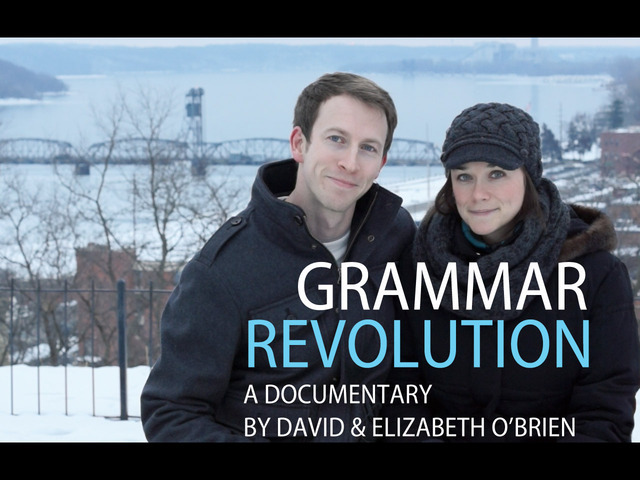 Grammar Revolution features an all star cast including: Steven Pinker, author of Sense of Style: The Thinking Person’s Guide to Writing in the 21st Century, Mignon Fogarty, “the” Grammar Girl, and Bryan Garner, author of many legal writing texts including A Dictionary of American Usage. The film is available by download or by purchasing a DVD, both available at http://www.english-grammar-revolution.com/products.html.